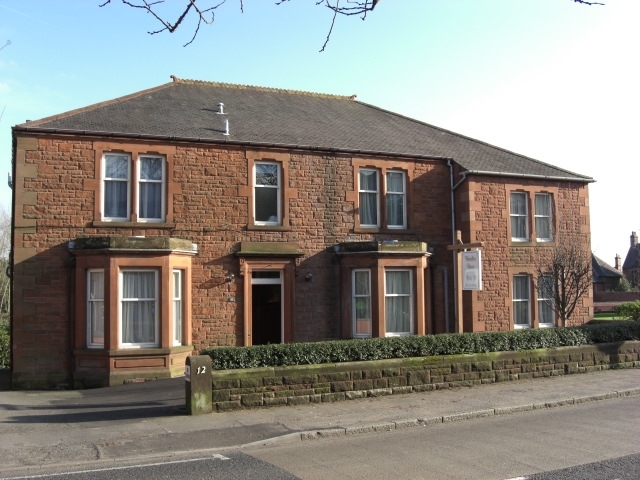 Situated in a prime location, this family-run guest house has recently been fully refurbished to the highest standard to give you a luxurious place to stay right in the heart of Dumfries. You are guaranteed a warm Scottish welcome and fantastic stay at Hamilton House, where each of the six en suite bedrooms has been tastefully decorated with your comfort in mind. The relaxing colours and stylish mahogany furnishings work together to offer you a tranquil heaven during your stay. For your added comfort, each bedroom has a digital LCD TV and a hospitality tray, as well as many other home-from-home comforts which will make your stay an enjoyable one. A choice of delicious cereal, fruit, yogurt and a full Scottish breakfast with all the trimmings is served in the stylish breakfast room which adjoins the comfortable lounge where you can relax and chat to other guests about all Dumfries has to offer. For all other meals there are a variety of excellent restaurants, traditional pubs, cosy cafés and independently owned shops within walking distance. Free Wi-Fi connection is available throughout the house and ample private parking is available at the rear of the property. The centre of Dumfries and all its fantastic visitor attractions is less than a five minute walk away. The market town is famed for its associations with Scotland's national poet, Robert Burns, and boasts a range of historical tourist sites including the Robert Burns Centre and House, Family History Research Centre and the Dumfries Museum and Camera Obscura. This is also the ideal base for exploring the Food Town of Castle Douglas and the nearby 7stanes mountain biking centres at Ae Forest, Mabie Forest and Dalbeattie.